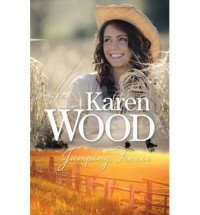 I received this copy of Jumping Fences from the publisher in exchange for an honest review. This did not influence my review in any way. Being a country girl like our protagonist Zoe, I was really looking forward to getting my hands on this book and was pretty pleased when it turned up in the mail. I imagined a good story, beautiful setting and characters I could relate to. That's not exactly what I got. I liked the concept, and the story was promising. And the setting was beautiful, but I felt like the whole thing was a bit rushed at just over 200 pages. More time should have been taken to flesh out the story, add some more backstory to explain the characters, and to establish more character depth and development. For example, what was with Zoe's so called 'best friend' Caitlin? There is very little in the book on their friendship, either in the flashbacks or the present story. All we see is Caitlin acting snarky towards Zoe once or twice, even though Caitlin should be the one hanging her head in shame, and then Zoe mentions towards the end of the book she barely feels like she knew Caitlin at all. It didn't fit, as nothing had been set up for that. Zoe's feelings toward Josh changed very quickly too, and seemingly without reason. She went from "Creep! Don't touch me" to "OMG why isn't he at school?" (FYI: Way too many OMGs used in this story) too quickly without real explanation. Yes, he was a good guy and much better for her, but I still feel like there should be more of a catalyst, especially when she was so suspicious of him to start with. More time could also have been taken for fleshing out Zoe's issues with her mother and her arguments with her father, who for such a tough country man, seemed to fold either too easily or not at all. His character was missing some consistency. That being said, I did enjoy the concept and the storyline. 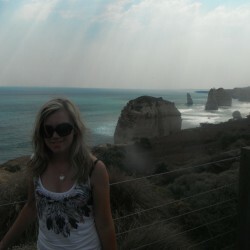 I enjoyed the inclusion of horses, cattle, working dogs and bush festivals. And cowboy hats and Blundstones! I enjoy reading about things I know about. I wish there were more YA novels based on life out in the country.